Well it's been about another month since my last weight loss update and I'm happy to report I am down another 4 pounds for a total weight loss of 82 pounds. That means only 18 more pounds until I hit my (revised) goal weight!!! Man, am I HAPPY I started this journey just over a year ago!!!!! There was NO WAY I could picture myself where I am today when I started. 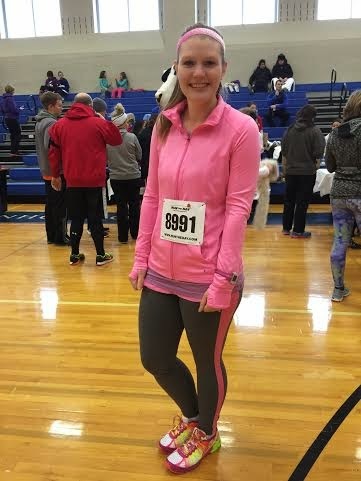 Over the past month I hit a big milestone for myself: I ran my very first 5k! I've never really liked running but I do it because I know that it really pushes my body. It's never been easy for me especially at the beginning but knowing that I have to work for it makes me want to (strangely) keep doing it more and more. So I have run a lot over the past year, but I've never signed up for an official race. It was intimidating, I had to feel mentally AND physically capable of being able to complete it before I could sign up. I've ran so much further than a 5k in the past (I've done 7 miles outside at my max! With some walking breaks) but I felt like I had to be able to run the 3.1 miles outside without stopping before I could sign up. Eventually I figured that was dumb and if I really needed to stop and walk I could just do it!!! So I finally signed up for a race to force myself to get ready! Of course this burst of willpower led to me signing up to a race in the near future which happened to be on Valentines day in the dead of winter here in PA so it's freaking cold out!!! I practiced a few times on the treadmill and then a week before the race I went outside to practice on the road (running on the treadmill always seems easier to me than outside!) and I finished in just under 30 minutes so I felt confident enough for the race. Race day came along on Valentines day and I was hoping for weather in the mid 30s with some sunshine....nope. It was 20 degrees out and cloudy and oh-so-cold!!!! I bundled up anyway though and showed up to just get it done. I felt very official getting a bib and everything! As for running the race? My only goal going into it was to finish in under 30 minutes, which I did!!!! I ran faster than I ever have before!!! Maybe the cold helped make me go faster hah. When I first started running I was so cold that my TEETH were cold. I mean come on. Hah. Eventually though I got moving and warmed up some. The course had a few small hills, not really that big in the grand scheme of things but I tend to stay FAR AWAY from hills on all of my own runs so it was a bit of a challenge. I just kept pushing though and made it through. A little after 2 miles I stopped to walk for about 15 seconds. And you know what? I don't feel bad about it! I just needed a couple of seconds to catch my breath to keep going stronger. Just a couple seconds after I stopped a guy ran up behind me and said "2.3 miles, you got this???" and it made me smile and I said back with more confidence than I've ever had, "Yeah, I got this" and I started running again. Eventually I ran back to the finish line area, and as I got closer I saw the official time clock at 26:43 and I thought, wow!!! I will definitely finish in under 30 minutes so lets make it under 27 and I sprinted to the finish line and beat the clock to 27. 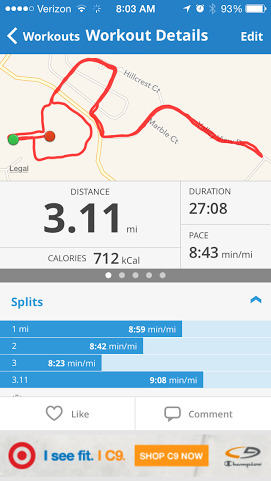 A couple seconds later I stopped my run on Map My Run and check out those splits!!! 8:43 pace. That is really good for me!!!! I started at like 12 minute miles PLUS when I first started!!! I'm so glad I made myself sign up because I really didn't think I was capable of finishing like this. The only negative thing is when I went online to check my official time it had me at 28:19. Which is still better than I thought I would do but I don't know how because I remember running so fast to get to the finish line before the clock reached 27 minutes. Even Map my Run had me closer to 27 than 28:19. Whatever the case though I still did so much better than I thought I could so I am super proud. 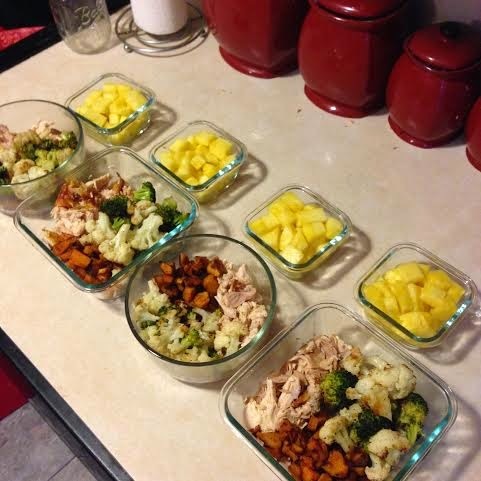 Besides running a 5k one other thing I did different this month was I've started meal prepping my lunches. I used to take the same exact lunch every day to work: a low fat yogurt, low fat cheese string, apple and granola bar. It was getting old and it wasn't the most filling. I started roasting broccoli and cauliflower, sweet potatoes, and bringing rotisserie or grilled chicken with a side of fruit now. It's a little more calories than my old lunch but they are all whole and very healthy foods and keep me more full for longer so I'm enjoying the switch! 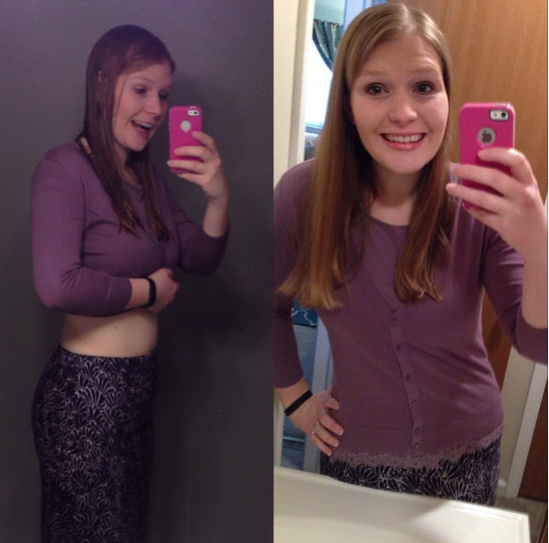 It's getting pretty noticeable that I've lost so much weight. I've been going to the same Zumba class for the past like year and a half that is pretty clicky and I don't really talk to many other people in it, but this past month two different ladies from my class came up to tell me how good I was looking! Also today I walked into my mom's work and she said she didn't even recognize me at first. I was like...uh why? Hah! She said because I look so different! If I kept up this 4-5 pounds a month weight loss I would reach my goal by mid summer which would be fun. I'm still really hoping to be able to rock a bikini this year. We will see how things go though, I tried my bikini on again on Monday and I was VERY glad that summer is still a few months away, hah! 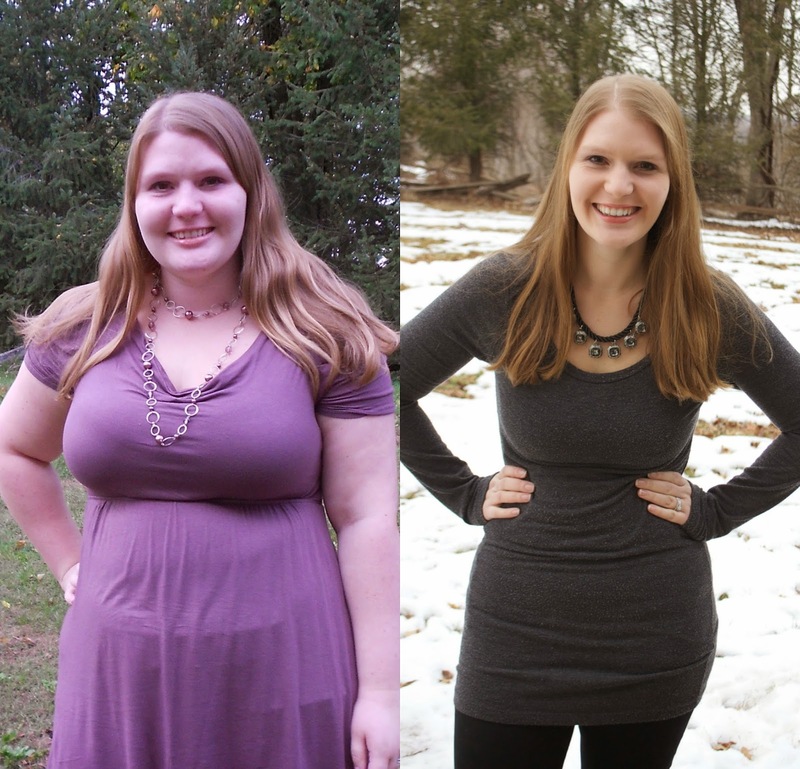 Your story is so inspirational Rebecca! I can understand how elated you were with your race. Congratulations! You deserve to be proud. I too hate running but I keep doing it because it is the best and fastest way I know of to keep extra pounds from adding on. I ran my first 10 km about 4 years ago and although I did well, I hated racing. It made me improve my time, but I hated it. I've kept running, but no more races for me. Way to go Rebecca! That's an awesome accomplishment! 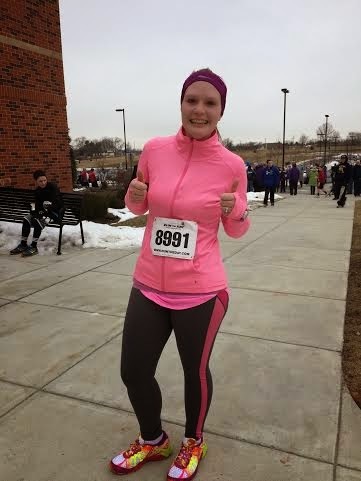 I ran a 5K on Valentine's Day too, it was so cold! You should be proud of your 5k, there's a lot of people who couldn't do that! Wow! You look great! 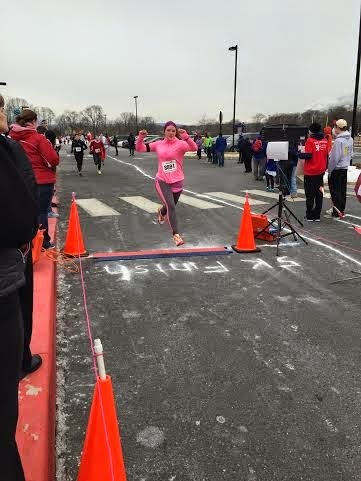 ...and a big congradulations on running the 5K! 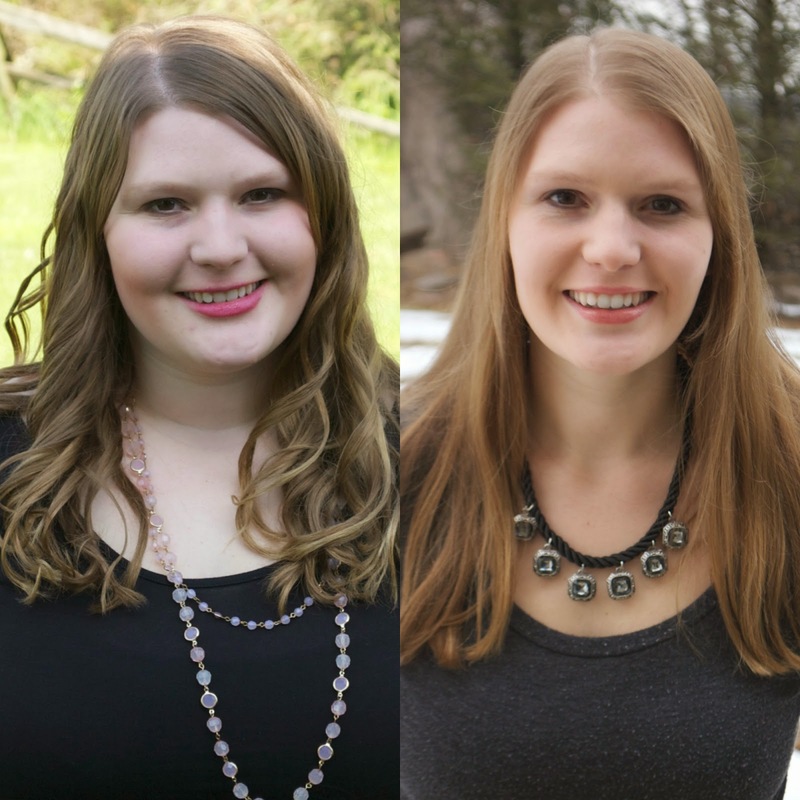 What an amazing transformation not only for your looks but for your overall health. You have done an amazing job! 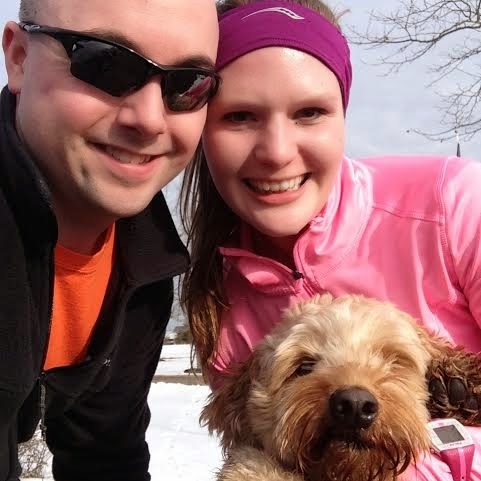 Wow, congratulations on your first 5K race!! That is awesome and truly amazing, you should be really proud of yourself for how far you've come. Keep up the great work! This is amazing! Congrats on everything you accomplished, and this is total inspiration for the journey I have ahead. Thanks for sharing! I'm so so happy for you dear Rebecca! You're doing smth incredible non only for yourself but for all of us. You're showing us everything is possible is you work hard and believe in yourself. Congratulations :) You look great, and so awesome to ready about your journey. Thanks for sharing. I love reading this! I am also on a weightloss journey and have always wanted to run a 5k. What program did you use to train? Incredibly, I appreciate your weight loss spirit.